At the age of twelve, Anthony Graham felt the call of God into ministry. It was at that time that he began preaching the Gospel in his local assembly. At the age of seventeen, he graduated from Andrew Jackson High School and entered the United States Army. After six years in the military, serving in Washington State and Korea; he enrolled in York College, where he met his lovely wife Leslie-Ann. They have been married for 25 years and God has blessed them with three children, Amara, Anthony Jr, and Amira. Dr. Graham is listed in Who’s Who in American Universities & Colleges. He graduated with a B.S. in accounting from York College a M.B.A from St. John’s University, and a Doctor of Ministry from Bakke Graduate University. Dr. Graham, who was selected as the Claude A. Ries Pastor of the Year for 2005 by Houghton College, is a tenured High School Dean and enjoys taking ministry to the children of the New York Public School System. As a pastor, teacher, and conference speaker, he is right at home in front of any size group. 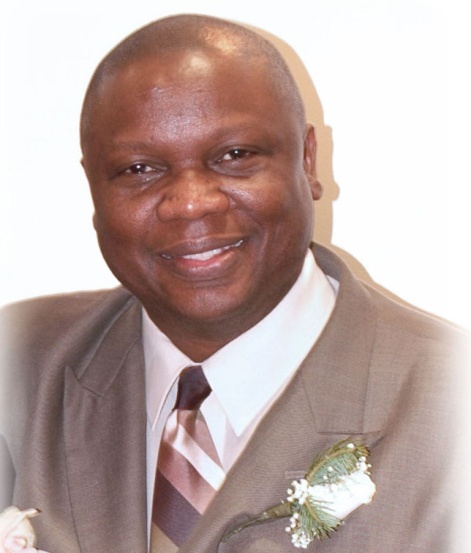 Dr. Graham serves as Senior pastor of the New Hope Family Worship Center, an inner city multicultural ministry. New Hope is one church in three locations. He co-planted his church twenty five years ago with only twelve members. It now has a weekly average attendance of 850 plus. In addition, New Hope has three daughter congregations; Canarsie Holinesss Tabernacle, World Impact International Ministries and House of Prayer Community Church and two campuses one in Coney Island and one in the Bronx. New Hope has a myriad of ministries, including a Social Services Program which provides assistance to all in the area of Housing, Jobs, Immigration and other social concerns. In addition, help for those struggling with Substance Abuse, An After School Program, Computer Literacy Program, Compassion Ministries program. Over six hundred and fifty families are blessed with all types of food weekly through this program. Our soup kitchen feeds just over 350 residents weekly. Clothing is provided five days to the needy. New Hope is a community church seeking to address the needs of the community and so provides 1,000 pieces of footwear for the children of the community in Spring. At the end of Summer as children are about to return to school – 1,000 book bags filled with school supplies are provided to the children of the community; in the Fall over 1,000 coats are provided for the residents of the community in need and at Christmas time over 1,000 pieces of toys are made available to the children of the community. Dr. Graham enjoys serving and has had the opportunity to share with pastors in several arenas. In September 1999, Pastor Graham served as keynote speaker for three District Conferences in Australia and in September of 2000 served as Keynote speaker at the Atlantic District Pastor and Spouses Retreat. In January 2001 and 2002, Pastor Graham spoke at the National Deeper Life Crusade in Barbados with representatives from thirty eight churches in attendance and in February 2001, he spoke at the 14th Regional Conference in Bhagdpur, India. In December 2004, Pastor Graham served as keynote speaker at the 73rd District Conference of the Wesleyan Church in Montego Bay Jamaica, in January 2006 at the National Convention of the Wesleyan Church in Montego Bay Jamaica and at The Gathering a National Conference sponsored by the Wesleyan Church. Pastor Graham has also served as camp speaker at Riverside Camp in Maine, Chesapeake District Camp, Ohio Family Camp and Southern District Wesleyan Camp. His ministry has also been exposed at the university level as he has ministered at Indiana Wesleyan University, Southern Wesleyan University, Oklahoma Wesleyan University, Bethany Bible College in New Brunswick Canada where he served for several years as a member of the board of trustees and Houghton College where he currently serves as a member of the board of trustees. In his district he is also recognized as a leader. He was elected on four occasions as a delegate to General Conference for his district, and was elected to the General Board at the 2012 General Conference. He has served as Chairman of the Metropolitan Zone for five years and has been a member of the District Board of Administration for twenty two years. He has traveled and ministered in several parts of the world, including Australia, Barbados, Canada, China, Colombia South America, England, Guyana, Jamaica, India, Korea, Russia, St. Thomas, Trinidad & Tobago, and in many parts of the United States. He frequently ministers in the areas of revival, Christian development, financial stewardship, team building and principles for success in life.